On this page you will find links to free bankruptcy forms that are court approved for all states. You can access these forms immediately. Many people file their own bankruptcy with the bankruptcy forms provided by the court in their area. Even though there are plenty of businesses who sell the forms, it seems smarter, cheaper, and more efficient to use the court approved forms that you can download from the district court in your area. Almost 2 million people and over 50,000 businesses file bankruptcy each year. Chapter 7 bankruptcy forms are used for those people who do not plan on repaying their debts, basically total liquidation. The main purpose is to give a person a fresh start with their finances. However the bankruptcy trustee in charge of your case will collect and sell any non-exempt property. The money from any non-exempt property will be used to give to any creditors who have a claim against such property. Exempt property may vary somewhat from state to state because of a provision in the Chapter 7 bankruptcy code that enables each state to use its own exemption law. Any property that has a lien against will not be discharged; the individual will still be responsible for paying of the amount of the lien. A person may not use these forms to file unless they have received credit counseling inside 180 days prior to filing from one of the accepted credit counseling agencies. Any debt arrangement plan that was put together during the counseling should be filed with the bankruptcy court. This type of bankruptcy starts with you filing a petition through your local district court. After which you will be required to provide a schedule of your income and expenses, statement of assets and liabilities, recent tax returns, and a couple other misc. documents. There will also be a fee you will have to pay for filing the documents with the court. If your income level is low enough the court may waive the filing fees. 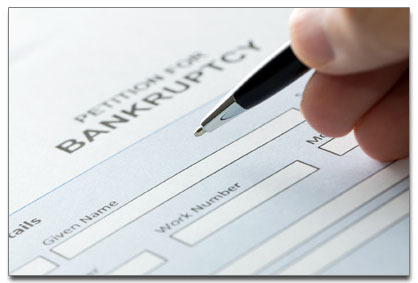 You can download the free chapter 7 bankruptcy forms immediately. These forms are used by those people with normal income to develop a program to repay all or part of the money they owe. Using this plan those owing money propose a repayment arrangement to make payments to their creditors from 3 to 5 years. In certain situations the court can approve a payment schedule longer. By using chapter forms for chapter 13 bankruptcy, it enables a person to reorganize secured debts (excluding a home mortgage) and lengthen them as long as the plan is in place. The bankruptcy plan is similar to a consolidation loan where the person makes payments to a trustee, the trustee then distributes the money to creditors. During this repayment period creditors cannot pursue collection of any money owed. One of the big advantages of filing chapter 13 bankruptcy is a homeowner may save their home from foreclosure by stopping any current foreclosure actions against their home. However, the homeowner must continue to make their home mortgage payment while they are on the chapter 13 bankruptcy program.